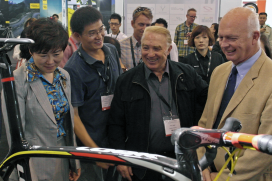 NANJING, China – After two editions as side event of the Asia Outdoor, the first stand-alone Asia Bike celebrated a successful 2013 show last October 10 – 13. 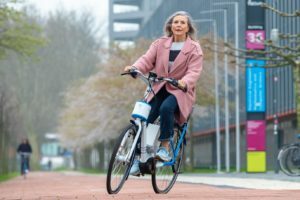 “With a total of nearly 12,000 visitors this trade and consumer fair showed its potential”, said Knut Jaeger, chairman of Asia Bike. 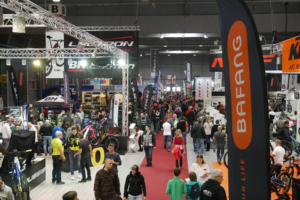 A total of 394 brands exhibited at Asia Bike. 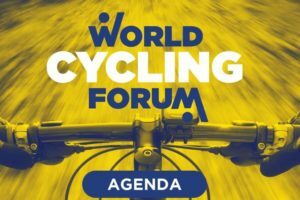 They occupied 36,000 square meters exhibition space and attracted 7,020 trade visitors plus 4,654 bike fans at the public days. On the average the trade visitors spent about 1.5 days at the fairground. 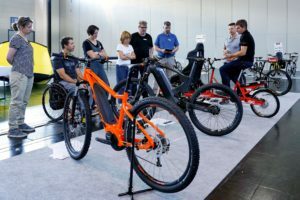 “We appreciate the professional organization of the show, while the level of exhibitors and visitor is very high,” said Erhard Buechel, Vice President of COLIPED, the Association of the European Two-Wheeler Parts’ & Accessories’ Industry. 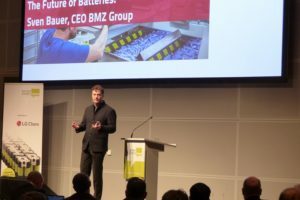 “It was very important for Bergamont to be here,” said Maik Geletneky, Export Manager of Bergamont Germany. “We have reached the right people at the right place and we learned a lot about the Chinese market by our meetings with both distributors and consumers. The 4th Asia Bike will take place from October 9th to 12th 2014, and Demo Day on October 8th.